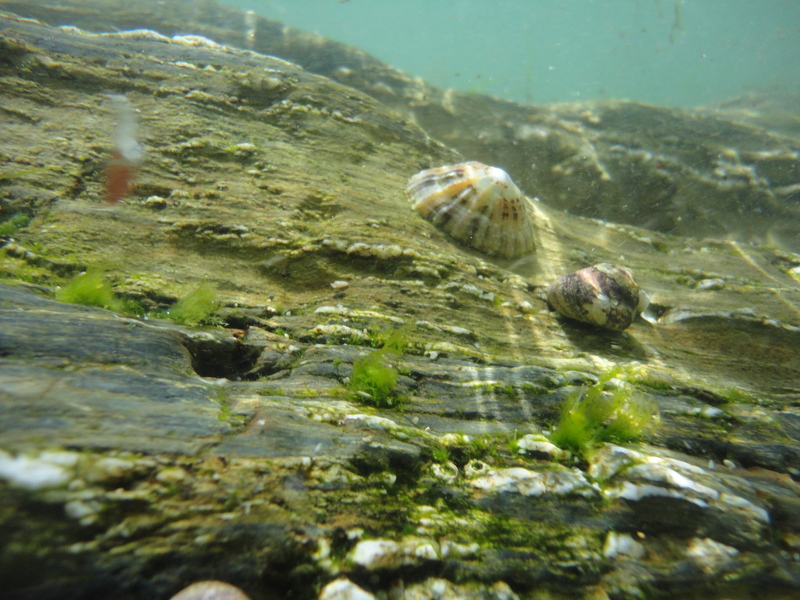 It feels like we’re living out a scene from the children’s picture book about a Cornish rock pool, The Selfish Shellfish. I’m with the author, Grandma Paint Pot (Donna Painter), on Castle Beach in Falmouth, where her story is set. The tide is rising fast and we’re slithering about on a wet rock while we watch limpets, top shells and anemones coming to life as the waves push in. In The Selfish Shellfish, Crusty the crotchety crab refuses to share the best and deepest rock pools with the other animals. Each day he finds a new rock pool and uses all sorts of mean behaviour to keep the others out until he is washed out by the tide. The Selfish Shellfish by Granma Paint Pot. The story tells how one day Crusty finds a ‘champion rock pool’, a perfect home. He hatches a plan to keep it forever, but he needs help. Can he give up his selfish ways and convince the starfish, mussels, limpet and periwinkle help him make the pool theirs forever? The beautiful illustrations by Izzy Bean blend perfectly with Grandma Paint Pot’s lyrical telling of Crusty’s fast-moving adventure. 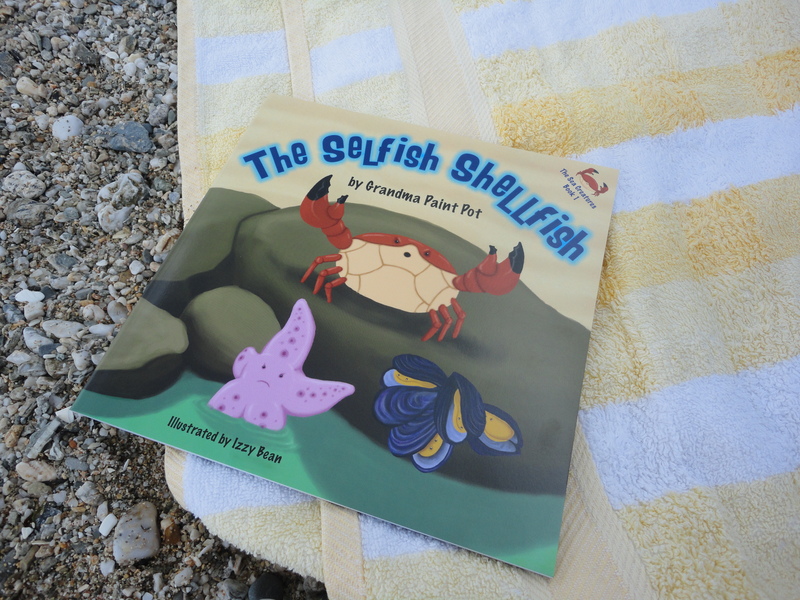 The Selfish Shellfish is a lovely read-aloud book for young children. 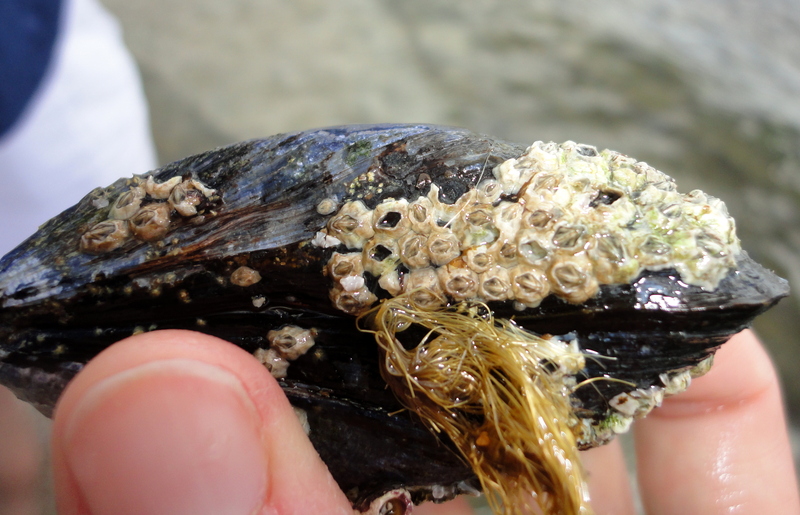 Edible mussel with barnacles attached. Grandma Paint Pot and I lose our own battle with the tide and wade out onto the sand, leaving the pools for the sea creatures. On the tide-line we find yellow flat-periwinkle shells, cuttlefish bones, barnacle encrusted mussels and no less than three different types of top-shell. 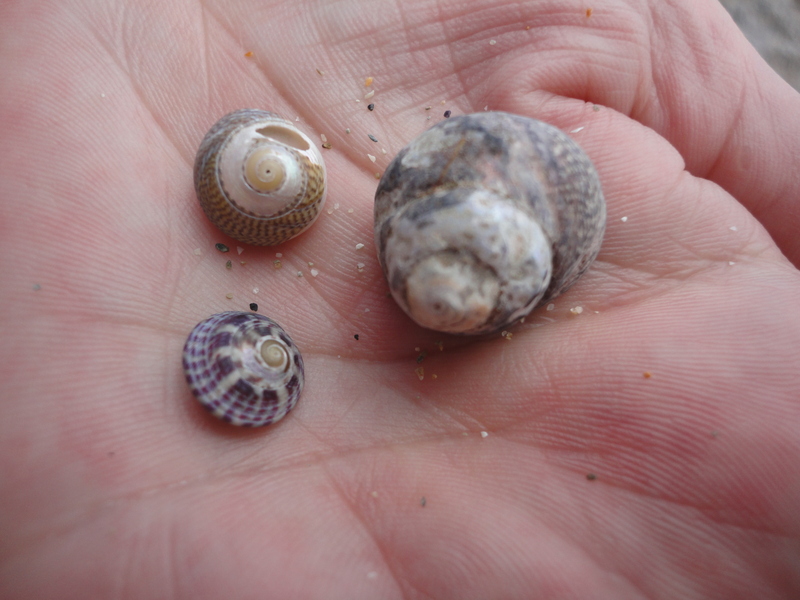 As the waves lap at our feet, we share stories of introducing children to the mystery and adventure of rock-pooling. 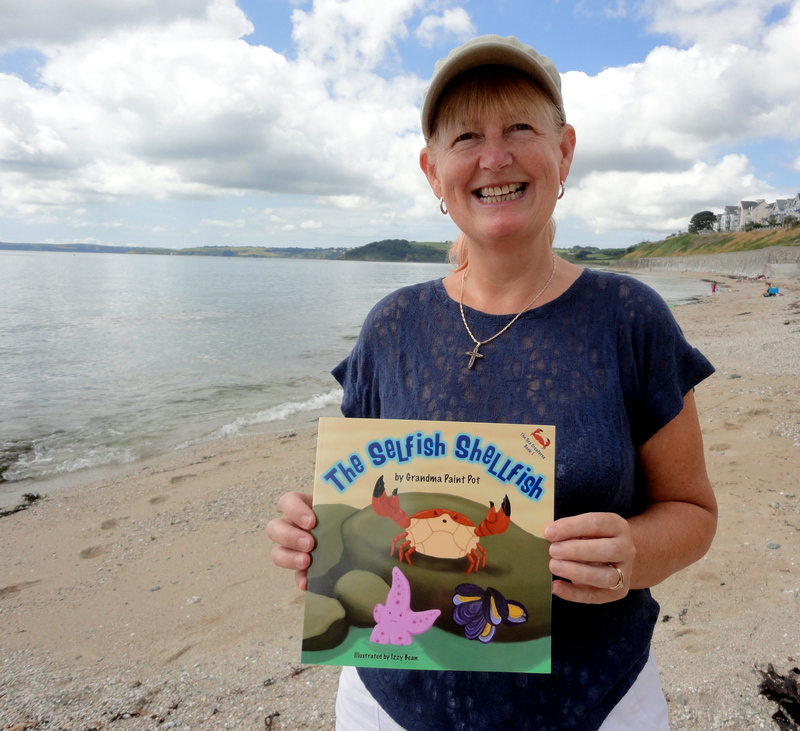 The Selfish Shellfish is a great story and a fun way for children to learn about seashore animals, the tides and, the importance of friendship. It’s a hit with my five-year old and he’s looking forward to the next book in the series. Visit Grandma Paint Pot’s website to find out more about her work. Look out for the forthcoming sequel to the Selfish Shellfish. The book is available to buy from SilverWood Books, priced £7.99. You can also buy it from Falmouth Bookseller, Falmouth Maritime Museum, Cornish Maid, The Falmouth Hotel, Seawitch Stores or Amazon. It’s available as an Apple iBook. Waterstones in Truro will order it on request or if you contact Grandma Paint Pot, she can post it to you (free to UK). A percentage of the proceeds from this book will be donated to Special Olympics Cornwall. 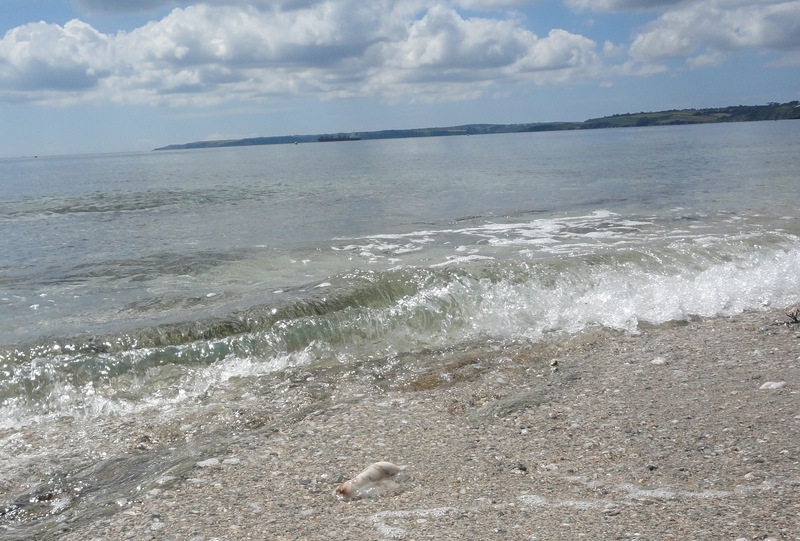 Previous PostUK rarity, the Crystal Jellyfish turns up in CornwallNext PostWhere have all the Common starfish gone?